Pam Bray is back with another deliciously embossed card just in time for Mother's Day! 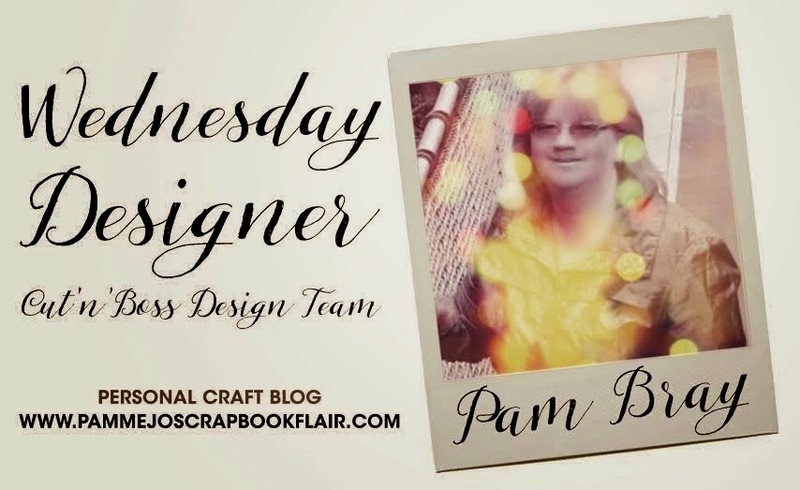 Hi it is Pam today sharing with you how to make a wonderful layered card and matching envelope using your fabulous Cut N' Boss from Craftwell along with Teresa Collins Love Triangle Embossing Folder. First begin by die cutting your white card stock using a Regal Heart Die from DieNamites. Stamp sentiment to front of card. Emboss using Teresa Collins Love Triangle Embossing Folder. Distress top of embossed white card stock using Aged Mahogany Distress Ink. Add pattern piece to top of card base. Add border to top of distress card stock. Trim around Regal Heart. Die cut a matching Regal Heart Die using your Cut N Boss. Run through the Xyron Create a Sticker Machine. Add a matching pattern pattern to front of card base and add the adhesive Regal Heart to front of card. LOL...I like pop dots and wanted to make sure I wouldn't have any give to my distressed piece when I placed it to the top of my card base so I added quite a few to the back of my prepared piece. Placed it to the front of your card base. Here is a closer look at the card with the dimension from the layers that were achieved. To make you matching envelope, open carefully, place Regal Heart Die to front of envelop and run through theCut N' Boss. Add a piece of pattern paper to the inside of envelop and adhere envelope sides back together to form your envelope. Here is a look at the card and envelop together. Love how they turned out, don't you? I try to always do a bit of a border in the inside of my card to have it have a more finished appeal. Well I hope you try your hand at making decorative envelopes to match your cards using your Cut N Boss. Be sure to let Pam know if you enjoyed her tutorial! Also be sure to follow her personal blog for more projects!